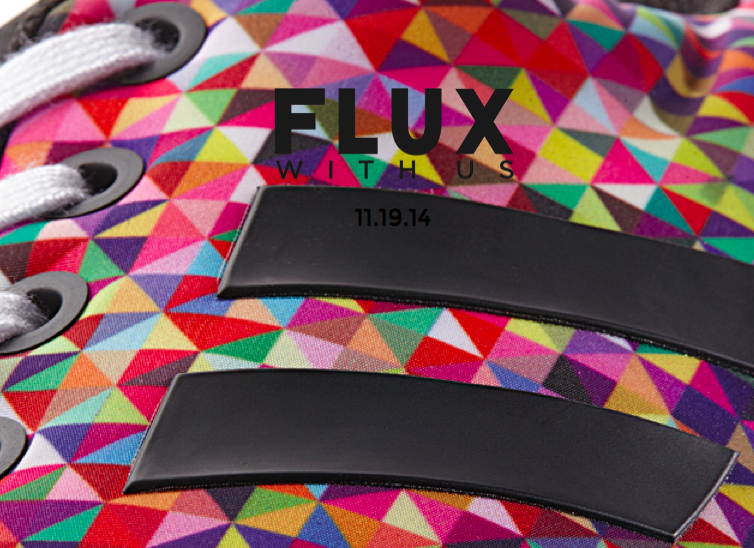 Your Favorite Sneaker Personalities will be collaborating with fluxwith.us , a special website that shares designs from the MiZFlux App, tomorrow November 19th. The platform will allow you to check out some of the most creative ZXFLUX designs made by individuals around the world as well as the opportunity to download the concepts. Tomorrow, fluxwith.us will be launching a special community operated website aimed at sharing designs for the adidas miZXFlux app. This platform will empower anyone to upload and download Flux designs free of charge and ad free. More than 20 designs will be made available to download, along with something very special. Fluxwith.US has partnered with the biggest shops, brands and personalities in sneakers to create 100% free, featured, miZXFlux designs. fluxwith.us will be launching a special featured design every day at 11am and 7pm EST, starting on Wednesday, November 19th. The last decade of sneaker culture has been defined by hype. A culture of exclusivity and expense has struck a tone that is sometimes detrimental to the community. For some sneaker lovers, that’s part of the fun…but we don’t think it has to be. We believe that sneakers don’t need to divide. We believe that sneakers aren’t beautiful because of how limited they are. Instead, they can be beautiful because of what they represent. We believe that sneakers don’t have to be a marker of who has and has not. Instead, everyone should have the opportunity to get whatever they want. If you believe what we believe then you might fluxwith.us. The miZXFlux program is unprecedented in its scope of customizability, providing a blank canvas for anyone to express themselves. This is an opportunity we refuse to let pass. fluxwith.us is a platform that anyone can use to upload or download artwork to use with the miZXFlux program. It is 100% free to use for anyone. You will not be charged, and you will not see ads. Instead you can click through, find what inspires you, find what you want to put on your feet, or find what’s missing and design it yourself. When you find or create something that you love, share with your friends (after all, this is about community). We’re working with some of the biggest names in the industry. Your favorite collaborators, your favorite stores, your favorite personalities. We’re working with people in sneakers, style, athletics, and art. We’re starting this site with a catalogue of featured designers whose work you’ll be able to use on day one. Before launch we have the commitment of more than 50 different brands and personalities on fluxwith.us. This is unprecedented. This is a big deal. This might be the biggest sneaker project of all time.